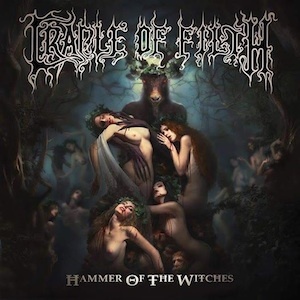 Cradle of Filth – Hammer of the Witches – Nuclear Blast – Release: July 10th 2015. Cradle of Filth is one of those bands that almost everyone has heard of, even outside of the metal world. And not in the least due to several of the classic shirts. I reckon anyone reading this knows at least one person who got in trouble at high school for wearing one of the shirts, you know which ones I’m talking about. However, you can’t run a band for well over twenty years on shirts and merchandise alone. Well, some bands can, but they have generally laid down a sturdy groundwork. Cradle of Filth keeps on challenging themselves and they’re about to release their eleventh studio album with “Hammer of the Witches”! Let’s not mince words, Cradle have had their ups and down in relation to album releases. While a small handful are often perceived as clear downers, the uppers are in the vast majority. Still, that always makes it quite a big question as to where a new album will fit. Well, I can be quick about that; “Hammer of the Witches” is clearly among the better albums! Fair warning though, this album is probably the furthest away from the original albums though. It has turned out to be quite a melody driven album and less extreme than some of their more recent offerings. This might turn it into a downer for some, but personally I’m loving it. Don’t fear that you won’t recognise the band despite the previous statement though, “Yours Immortally” is a classic high speed Cradle opener and has some serious cojones to it. It’s also quite a chameleon track though, as the song shifts gears quite often, making it a very adventurous track ranging from classic heavy metal to more extreme and even symphonic metal. “Enshrined in Crematoria” is no stranger to the fans and this one is a bit more focused on the high speed battering though and I have to give special kudos for the superb thrash solo nearing the end. Pure shredding glory! Following that is another track that already gave fans an early taste of the album; “Deflowering the Maidenhead, Displeasuring the Goddess”. Personally this one reminded me quite a lot of the “Godspeed on the Devil’s Thunder” album and since that’s one of my favourite Cradle albums I can only call it a big plus! It’s also quite a good introduction for the new album as it contains all the elements of “Hammer…”; extreme metal, melancholic orchestration and classic Cradle lead guitar works. “Blackest Magick in Practice” is a great meld of both a more aggressive sound and a very melancholic feel to it. Especially the lead guitar at the end really nails down the sorrow that’s been carried forward by the keys since the opening. This is a nice moment for a soft intermezzo which “The Monstrous Sabbat (Summoning the Coven)” brings us. While I generally don’t really care much for such short pieces this really does set you up for the slow, well comparatively slow anyway, and very heavy opening of “Hammer of the Witches”. But not before long the speed gets revved up and I just love the chainsaw-like guitar sound in there! It’s something that I often miss with bands these days, so the joy is bigger when it is there. My mind might be foggy, but I think “Right Wing of the Garden Triptych” was out first taste for this new album. A nice track of the modern Cradle with a nice vocal focus on Lindsay’s diverse voice at the opening and more menacing down the line. From a modern sound we dive back into ancient Cradle glory with “The Vampyre at My Side”, a rather brutal and menacing track compared to the rest of the album. I just have to say that there’s a very off-beat power metal solo nearing the end which at first doesn’t really do the song justice. Still, that’s the first bit of criticism I can level at this album. All of a sudden we’re put into a cathedral with a grand organ and a choir when “Onward Christian Soldiers” starts off with a great bait-and-switch into one of the more melodic tracks of the album. I love the oft dramatic feel of the riffs on this one. There’s such a sense of need to them. And that short keyboard solo came out of nowhere, but I won’t spoil it too much! This song is also the one last big explosion of the band on this album as the album closer “Blooding the Hounds of Hell” is little more than a moment of cooling down, although it does hint of more…How about pushing that repeat button? 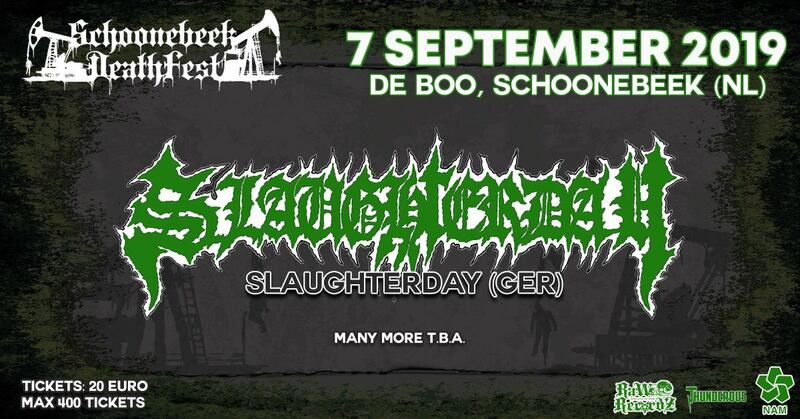 Love them or hate them, but Cradle of Filth are here to stay! “Hammer of the Witches” is a superb addition to the band’s catalogue and the band will be hard-pressed to top this one! It’s diverse and often adventurous and while it’s still very much typical Cradle of Filth, the song writing one this album is among their best so far!